Part I : What does this label actually mean? Over the past few years, the rise in popularity of eating local, organic and/or sustainable is leading grocery stores to provide more detailed information about the selections of produce, dairy, seafood and meat they offer. If you’re like me, the extra details on labels at Whole Foods and Trader Joe’s can more confusing than informative. Not knowing where to start when picking up my groceries was one of the big influencing factors for me to learn more about nutrition. I knew if I was struggling with this, then my friends, family, and clients likely were, too. Over time, I’ve found my passion for nutrition to be rooted around coaching people to make educated decisions and changes in their day-to-day lives. Navigating your way through the store to select the most nutrient dense foods to put in your body shouldn’t be an obstacle on your health and wellness journey. Learning what labels mean is the first step in navigating through selecting your food. Let’s start with reviewing the key terms you’ll see while shopping. Sustainable: An approach to agriculture where raising food is healthy for both the animals and consumers, safe for the environment, is humane for the workers, provides a fair wage to the farmer, and supports rural communities. Pasture-Raised: A traditional approach to farming that involves animals being raised outdoors on a pasture in a humane manner, where they eat foods that are consistent with their diets intended by nature. Cage-Free: Applies to the environment specific to egg-laying hens. While the hens aren’t restricted to cages they are generally raised inside barns or warehouse. Organic: Farmers that sell more than $5,000 of organic products are required to obtain a certification from the USDA National Organic Program specific to production and handling standards. The USDA standards limit the use of chemicals, pesticides, hormones, and antibiotics, however, it doesn’t have specific standards about production practices such as outdoor access. Natural: Refers only to how meat or livestock products are processed after being slaughtered. *There are no national guidelines that cover how animals are cared for, fed, or raised. Free Range: Refers only to poultry meat and requires the producer to show the USDA that animals have access to the outdoors. While access has to be demonstrated, the type of outdoor environment or if the animals go outdoors isn’t regulated. Grass Fed: Refers to the diets for cattle, sheep, goats, and bison. Currently, there are USDA grassfed label standards that only stipulate the diet itself and not whether the animals are given access to a pasture or given supplements, antibiotics and/or synthetic hormones. 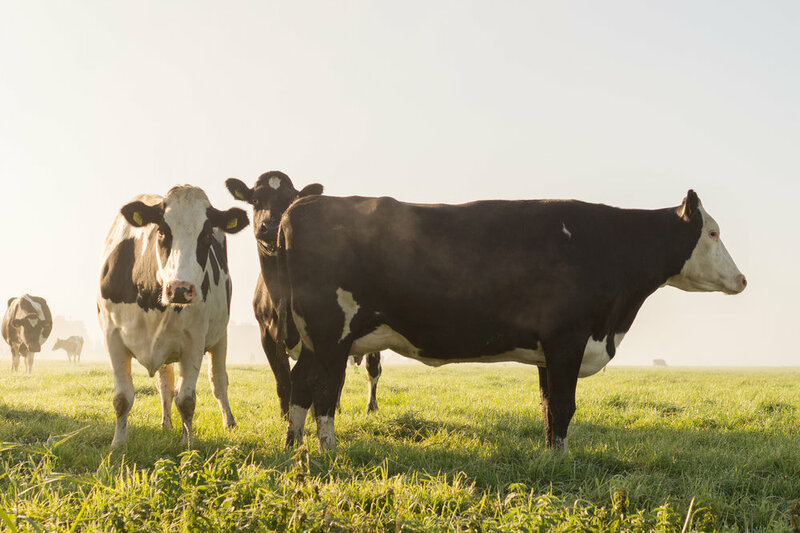 The American Grassfed Association (AGA) has higher standards for ranchers, which include being a 100% forage diet, raised on a pasture, no confinement along with no antibiotics or hormones given to the animals. To help you become a grocery shopping pro, I’ve created this quick and easy chart to cross-reference next time you find yourself stuck in the aisles, confused about what to buy. Ideally, it would be great if your food ranked in the first row of 5-star quality food, but I understand that time, money, and a lack of information can all be obstacles. The important thing is that if you’re reading this article, you’re already taking steps forward in your journey to wellness - so high five to you! Stay tuned for the next installment of "Navigating Through The Grocery Store" for more education and practical tools for you to use. If you can’t wait, I’d love to offer you a complimentary 15- minute consultation to see what changes we can make to your nutrition routine to improve the results you’re getting.